The new 18i series are initially offered in Deluxe, Synthetic and Waterfowler models, all featuring a 28-inch barrel with a full-length ventilated rib. All have a one-piece receiver that is machined from billet aluminum, offer a 4+1 shell capacity, and run on a proven inertia system the company says is both reliable and ready to stand up to prolonged use. They seem very similar to Marocchi’s SI12 series which debuted in 2009. 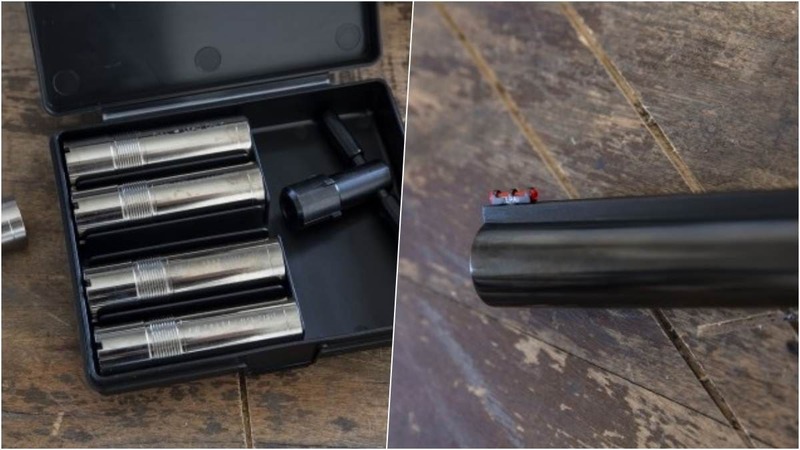 The Synthetic, more of a field gun, uses a 3.5-inch Super Magnum chamber– the first offered by Weatherby– and includes black polymer furniture with a recoil-mitigating elastomer stock. MSRP is $1,099. The Waterfowler, like the 18i Synthetic, has a 3.5-inch chamber. It is dipped in a Realtree Max-5 camo pattern. MSRP is $1,199. All of the 18i models have LPA Fiber sights and include a case with five choke tubes and a true choke tube wrench. Although Weatherby was long a California-based firearms maker, company CEO Adam Weatherby announced last year the time was right to pull stumps for more gun-friendly Wyoming, where they are busy moving into a new facility in Sheridan.